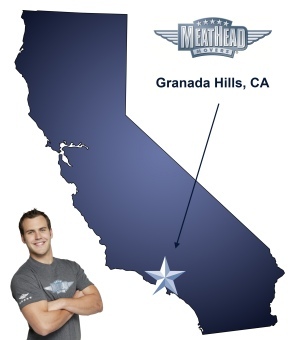 Whatever your moving needs may be, Meathead Movers will help you feel at home in Granada Hills. Our professionally trained student-athlete movers and our moving concierge will be with you for the entirety of your move to Granada Hills. Located in Los Angeles, California, Granada Hills is an attractive residential district. For those considering a move to the Los Angeles area, Granada Hills certainly has plenty to offer. Moreover, Meathead Movers is here to make the transition as easy as possible for you, your family, or your business. With over 50,000 people, Granada Hills has an inviting feel, often serving as the backdrop for films, television shows and commercials. Granada Hills benefits from warm weather and scenic neighborhoods, so it is no wonder that Granada Hills is a popular place to call home. Current residents can enjoy the city’s plentiful parks, including O’Melveny Park. This sprawling park is the second largest in all Los Angeles and features both a developed area and various hiking trails. Mission Point is another popular attraction for hiking and mountain biking because of its scenic views over the San Fernando Valley. The residential areas are noted for their striking architecture, and Granada Hills is often renowned for its selection of mid-century modern homes. There are various options for Granada Hills movers, but for the best moving experience possible, Meathead Movers is the obvious choice. Based in California, Meathead Movers has been in the moving business for over fifteen years. While many moving companies have questionable reputations, we at Meathead Movers are defined by our commitment to excellence. We employ clean-cut, drug-free student-athletes, all of whom are equipped and dedicated to ensuring a quick and efficient move. In fact, Meathead employees even jog when not carrying anything which saves you valuable time and money. Meathead Movers works in both residential and commercial settings for long-distance or short-distance moves, even completing on-site relocations for maximum convenience. Need help on more than just moving day? Meathead Movers can be enlisted for any number of moving tasks. Meathead Movers is also known for its Princess Packers, who can carefully and efficiently pack for any client. As an added perk, Meathead Movers also has a moving concierge service to make relocating even easier, which helps connect you with trusted service providers in your new area. Meathead Movers can get the job done right—and we have a 100% satisfaction guarantee! For high-quality service and the best employees in the industry, call us today for your free moving quote. Moving to Granada Hills? Here are some helpful resources. “On time- Efficient- Easy Process from beginning to end. This is the 2nd time I have used Meathead Movers and I will use them again. View more Granada Hills resources. On time- Efficient- Easy Process from beginning to end. This is the 2nd time I have used Meathead Movers and I will use them again. No surprises. Moving is stressful and I went back to Meathead Movers because I wanted to keep my stress to a minimum. The movers were quick, polite, and very nice to be around. They checked in frequently and made sure everything was where we wanted it to be. Everything . . on time, fast, thorough, friendly, professional. Will use again and refer!